The best things in life really are free! 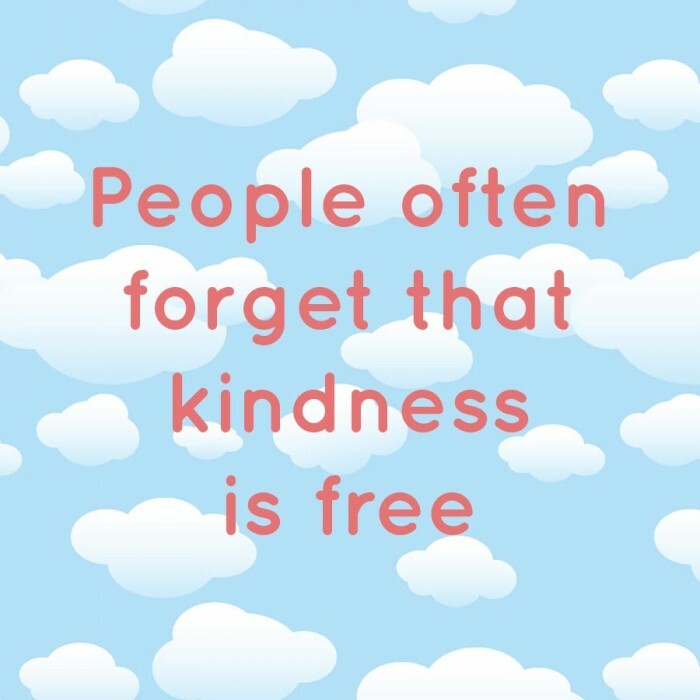 Don’t forget that kindness doesn’t cost a dime. Spread happiness and be kind to others, as this simple gesture could make someone else’s day and bring a smile to their face. Kindness is free, so be generous and kind to everyone you meet.